On March 2, ESSP (the European Satellite Services Provider) declared the safety-of-life (SoL) signal from the European Geostationary Navigation Overlay Service (EGNOS) officially available for use by aviation, following European Commission (EC) authorization to provide the service. 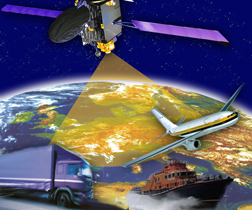 Similar to the U.S. Federal Aviation (FAA) Administration’s Wide Area Augmentation System (WAAS), EGNOS transmits real-time corrections to GPS signals over a large expanse of Europe and north Africa. The system uses transponders on three geostationary satellites and a reference and monitoring network of 40 ground stations to provide the corrections with 99.9 percent availability over the core service region. Signal accuracy is measured by GPS user equivalent range error (UERE) and typically will be about 4.2 meters (after EGNOS corrections) for GPS signals from satellites at a 5-degree elevation and 2.4 meters for satellite signals arriving from a 90-degree elevation. 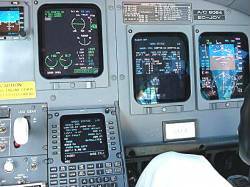 The signals are guaranteed to the extremely high reliability set out by the International Civil Aviation Organization standard, adapted for Europe by Eurocontrol, the European Organization for the Safety of Air Navigation. If this reliability falls below a minimum level then EGNOS users are alerted within six seconds. EGNOS is designed in such a way that the SoL service ensures that the satellite correction error and ionospheric error are bounded with a probability of 99.99999 percent — essentially reflecting the system integrity. For aviation users, EGNOS service complies with non-precision approach and APV-I (approach with vertical guidance) requirements. In order to use EGNOS for approaches, Air Navigation Service Providers must publish runway procedures and aircraft and operators have to be equipped with certified receivers and be approved for operations. Once air navigation service providers in the EGNOS service area have established working agreements with ESSP as required by the Single European Sky regulations, they may proceed with the publication of satellite-based augmentation system (SBAS) precision approach procedures based on EGNOS. After six years in operation in the United States, WAAS is being used by more than 40,000 aircraft and using more than 2,000 procedures published by the FAA. Some 15 years in the making, EGNOS is the result of a tripartite agreement between the European Space Agency (ESA), the EC and Eurocontrol. As initial EGNOS program manager, ESA designed, qualified, and procured the system from a consortium led by Thales Alenia Space–France. Overall program management passed to the EC in 2009. Day-to-day operations are overseen by the Toulouse-based ESSP.